The effects of spirulina supplementation on preventing skeletal muscle damage on untrained human beings were examined. Sixteen students volunteered to take Spirulina platensis in addition to their normal diet for 3-weeks. Blood samples were taken after finishing the Bruce incremental treadmill exercise before and after treatment. The results showed that plasma concentrations of malondialdehyde (MDA) were significantly decreased after supplementation with spirulina (P < 0.05). The activity of blood superoxide dismutase (SOD) was significantly raised after supplementation with spirulina or soy protein (P < 0.05). Both of the blood glutathione peroxidaes (GP x ) and lactate dehydrogenase (LDH) levels were significantly different between spirulina and soy protein supplementation by an ANCOVA analysis (P < 0.05). In addition, the lactate (LA) concentration was higher and the time to exhaustion (TE) was significantly extended in the spirulina trail (P < 0.05). 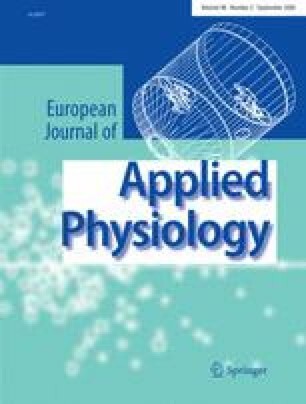 These results suggest that ingestion of S. platensis showed preventive effect of the skeletal muscle damage and that probably led to postponement of the time of exhaustion during the all-out exercise. The authors would like to acknowledge the financial support of Chuang-Chun Chueh (president of FEMICO, Fareast Microalgae Industry, Taiwan).